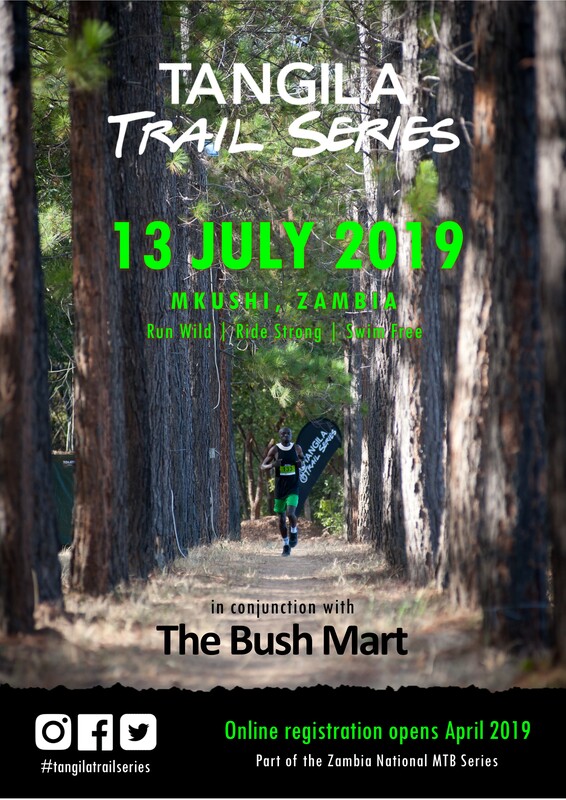 The Tangila Trail Series is a trail running, mountain biking and swimming event held annually in the Mkushi farming block of Central Zambia. It is a charitable event that raises funds for nominated charities in wildlife and conservation. The trails are set amongst the hills and valleys of Masebe Ranch where participants run and cycle on well-maintained trails while enjoying beautiful scenery and chance encounters with the resident wildlife. The ethos of the event is one of camaraderie and appreciation of Zambia’s beautiful natural environment. People from diverse backgrounds run, cycle and swim together, support each other and share stories beside the campfire.